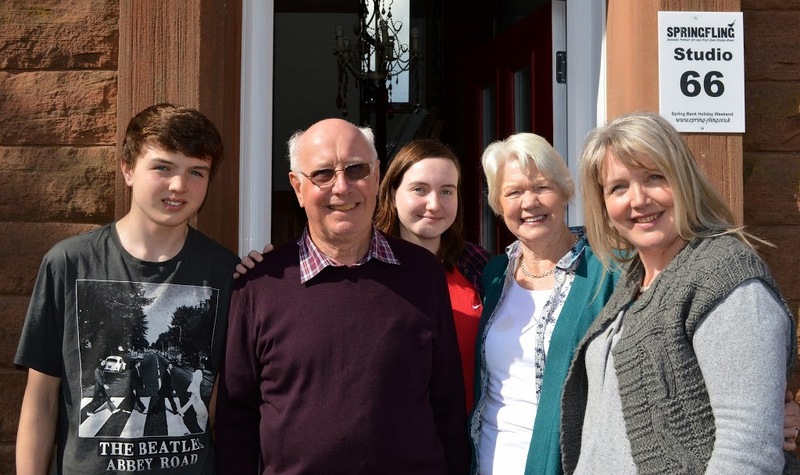 Spring Fling Open Studios event took place across the Dumfries & Galloway region on the weekend of 25-27 May.95 artists and makers opened their doors to their galleries,workshops, studios and houses and welcomed visitors from all over the world . 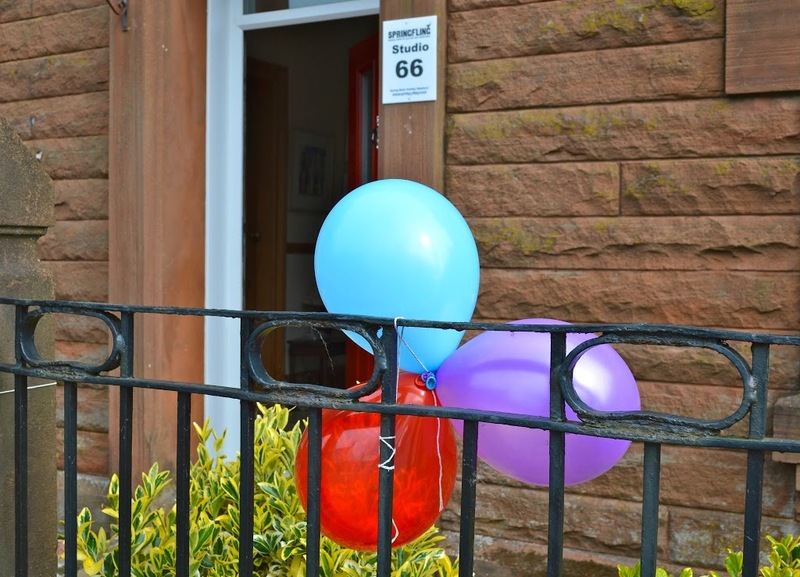 Studio 66 on the Orange Route-ready for action…..
As this was my second year of participating, I was much more organised-working through various lists and engaging the family in numerous jobs. 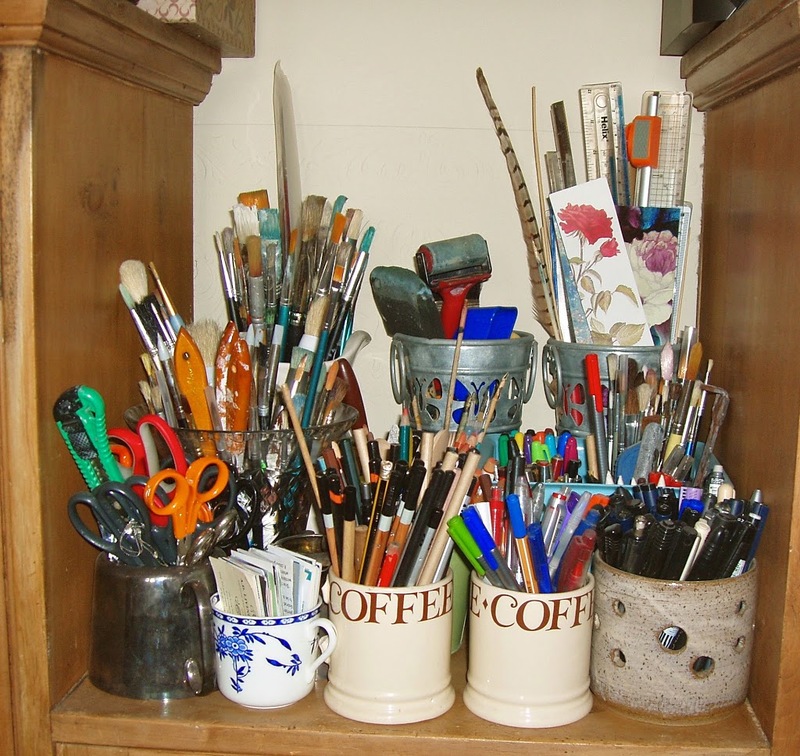 As my studio is in my living room then it does take quite a while to clear out….working in mixed media requires a lot of ‘stuff!’. 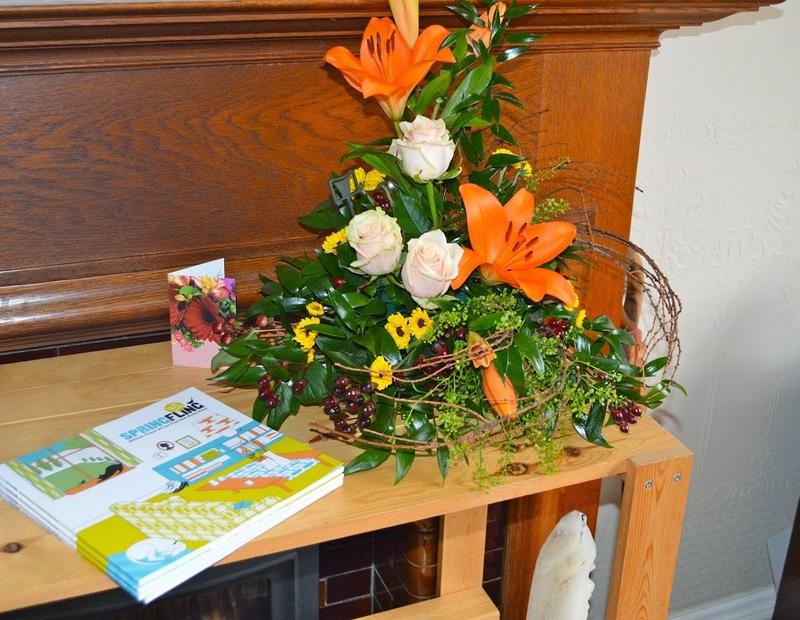 A thoughtful and supportive friend had flowers delivered that complemented my new colour palette…. The hallway allowed for additional exhibition space…. 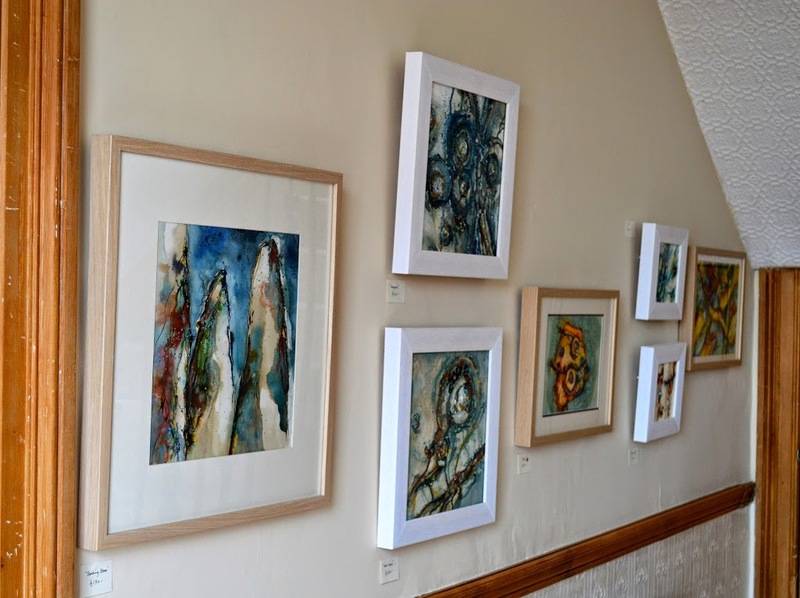 Work was exhibited according to use of media and framing…. Working corners of my studio caused a lot of interest and discussion…..
‘Book of Yggdrasil’ was greatly admired….. I opened on the Friday evening for a preview evening and also did the late night openings on Saturday and Sunday. Over the weekend I had around 150 visitors-people travelled from far and wide. 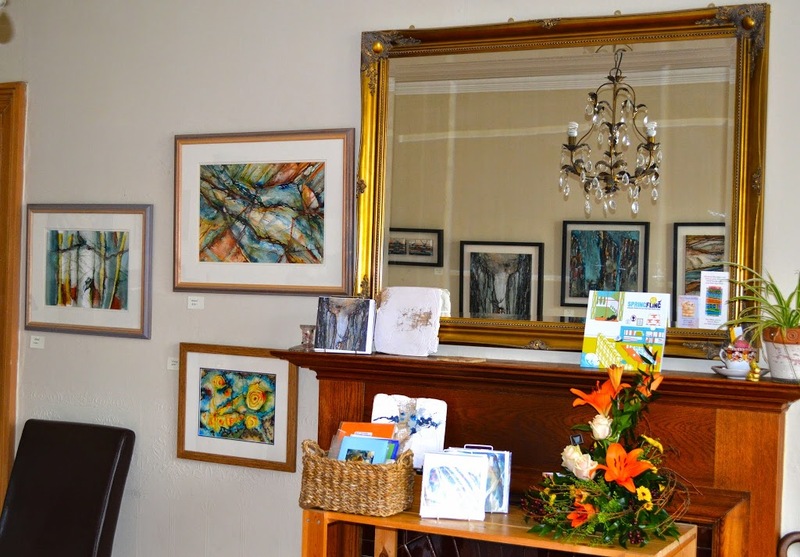 It was great to have return visitors and fantastic to see new faces.I met people who had found me through social media which was amazing!Feedback from visitors was overwhelming …as was the number of sales. I was so grateful that folk chose to visit me with the amount of studios open over the weekend.I was able to explain the techniques I employ in working in mixed media. 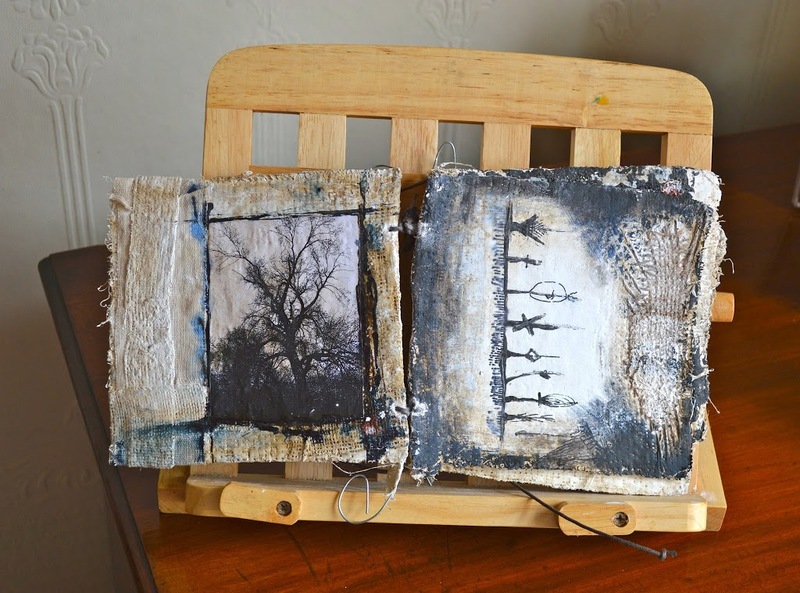 My sketchbooks and journals caused a great deal of interest-and also showed the depth of research behind my work. Bea’s Bakery operated by my daughter was again a great success….she’d spent 7 hours baking on Friday so I was really pleased for her. Cheers…and thank-you to all who made my Spring Fling such a successful weekend. Congratulations Helen. This looks like it must have been a wonderful experience. Your work — and that Book!!! — is quite special.